These devices are not telephones per se, but provide data services much like the data plans we have on our cellular devices. Short messages like SMS texts are the norm with these units. The key difference is their ability to utilize an existing satellite constellation to maintain communication where cellular infrastructure does not exist. The support infrastructure for these inReach devices orbit continuously above our heads. Tracking and sharing of location, etc. This is EmComm for the masses. This isn’t free or cheap, but then again neither is reliable and portable amateur radio gear you can count on. Products like this empower users and reduce the need for third party communicators including amateur radio. Once upon a time the rollout of the cellular phone system made mobile/portable communications no longer a skill only available from a priestly class of radio aficionados. Many in the amateur radio ranks welcomed this change, but others in the EmComm camp scowled with the realization their importance was evolving. A legitimate concern of overloading or destruction of cellular systems still provides a reason for two-way radio services including amateur radio… maybe in an EmComm setting on rare occasions. As well there exists a need for a safety line for back country folks with no cellular service. Satellite phones have been around for quite some time with data plan costs on par with traditional cellular phone service. Anyone serious about safety will invest in such systems. 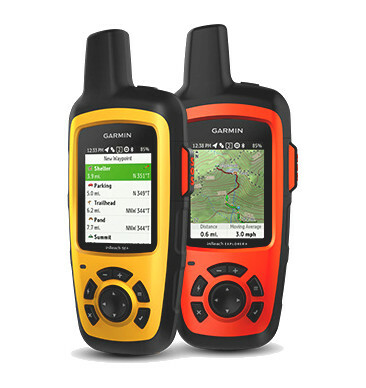 The inReach product is yet another backpack stow ready option for those interested in maintaining a communication lifeline wherever they might go. It means the general population has less need than ever for our capabilities. This is a good thing. We can focus on using amateur radio for our own purposes and help others only when it truly is required… and more importantly requested. Nothing. Our focus is not on EmComm. Packet radio and many other amateur radio data modes don’t hold up well under load so the fewer folks in need of it the better. 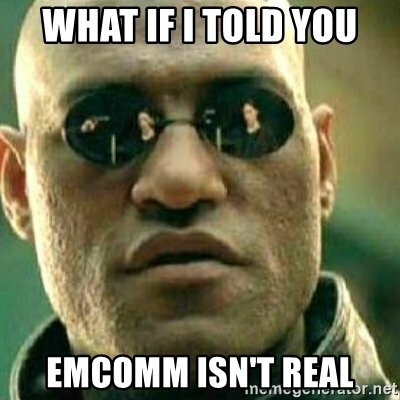 That fact is very hard for too many EmComm folks to swallow, but truth is what it is. If anything, products like inReach reduce VAPN’s utility as well and we have taken note. Good ol’ health and welfare traffic, use of longer wavelength bands and ham radio fun still have a valid role. With this in mind, VAPN is more like a local FM repeater… a resource for the amateur radio community at large. The 2017 hurricanes did reveal some good news on how amateur radio operators provided some form of assistance in PR, etc. as slow recovery continues. Reports are mixed so perhaps there is something to commend. All too often I see proponents greatly inflate what actually happens in embarrassing ways on The Zed and other places. The ARRL’s story on the sinking of the HMS Bounty replica vessel clashing with the details learned in the official NTSB report (Sinking of the Tall Ship Bounty) is a fine example of a gotcha moment for the Winlink/EmComm community that won’t be forgotten anytime soon. At least the centrally organized amateur radio variation.